Its still March. I could offer this to you as another Welsh offering, with the green and white leeks and the first of my glorious home grown daffodils, but truth is its just coincidence that they are both presented here. The puff pastry is crisp and flaky, the leeks are almost caramelised, silky smooth. The saltiness of the feta, mustard and chervil flavours come through too. If you choose to make this, please make sure you wash the leeks well thoroughly. 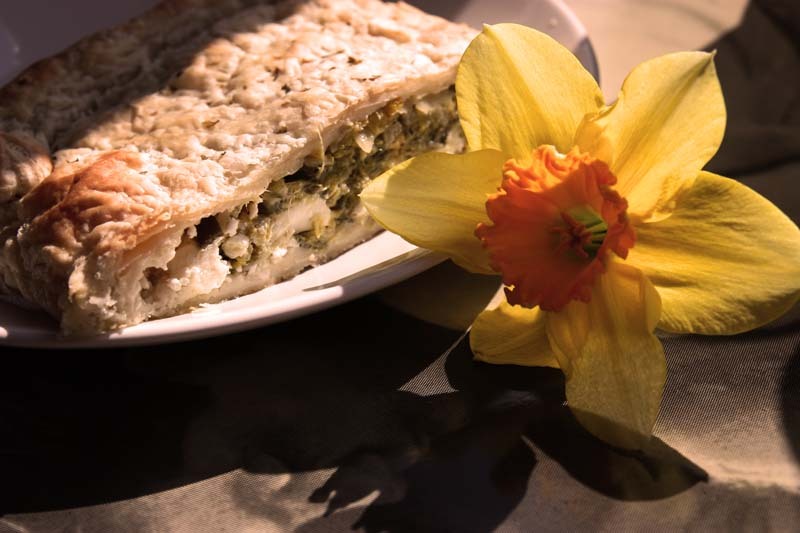 Leeks are notorious for hiding soil in between its layers and the last thing you want to do is chew on bit of grit spoiling your enjoyment of this rather simple 'Leek and feta pastry'. If you wish, you can easily make these into individual parcels, but for convenience and laziness I made one large pastry that could easily be sliced. I think the flavours in this pastry are just too rich to eat on its own, so I would recommend serving it alongside some peppery greens; or a couscous salad. Thoroughly wash the leeks to remove grit. Heat oil in a wide pan and add the leeks and sauté until tender about 8 – 10 minutes, then add in the garlic and herb and sauté for a couple of minutes. Remove from the heat and stir in the mustard, crumble in the feta cheese and combine. Season to taste. Oil a large baking tray, then roll out the puff pastry directly on the baking tray. 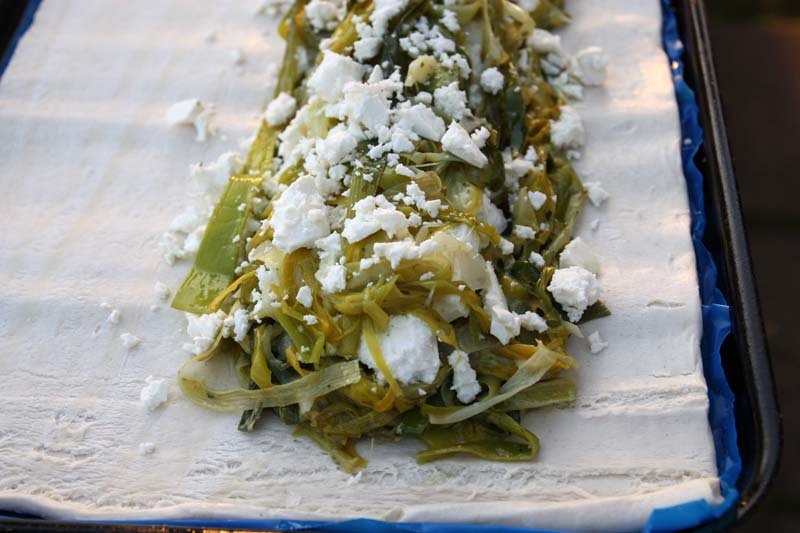 On half of the pastry, spread the feta-leek filling evenly. Then fold over the puff pastry sheet and pinch the ends to seal. Optional: Sprinkle a little dried chervil to the top of the pastry. Bake in over for 20 – 25 minutes or until golden and crisps. This sounds so good! 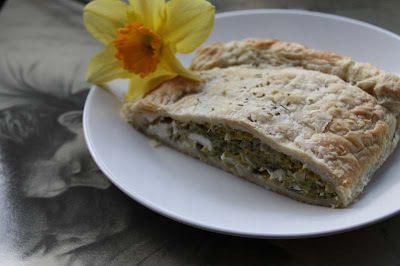 I'm a bid fan of feta & mustard and it must be so good with leek in crisp and puff pastry! I've never tried leeks! But your post made my mouth water! This looks beautiful and so delicious!! Awesome job! :-) I want some now! You must try leeks. People often use it as a base of a soup, in place of onions, but I think its lovely as a vegetable in its own right! You know how to make this woman smile. Thank you! PS Actually its okay reheated, but that will only happen if there are any leftovers. Leeks are relatively new to me - I've never had them before moving to the UK - but I'm quickly becoming a huge fan. 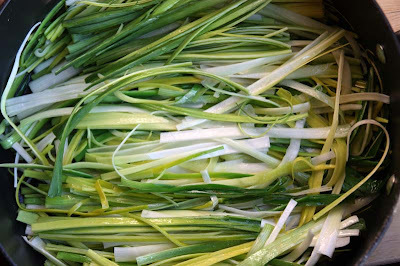 I LOVE sweet onions, and leeks are much like that but much more tender. I like to treat them as a vegetable in the own right, making them the main event. 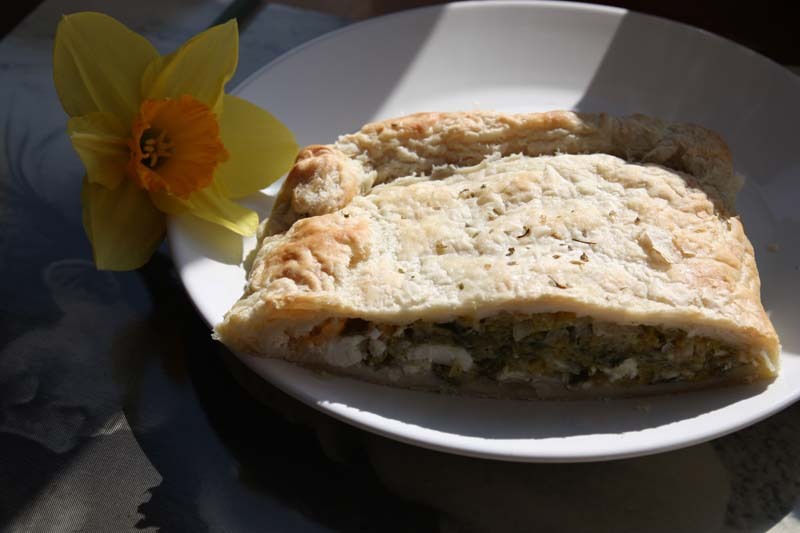 And so this leek and feta pastry is VERY appealing. I imagine a quiche-style version would also hit the spot. Lovely to hear from you Monica. YOu may be interested to note that I also have a flan recipe, similar to quiche made with leeks. This looks like a delicious dish! I'm always looking for new fillings for puff pastry. Thanks for commenting on my blog. I've added yours to my Google Reader and look forward to reading your future posts. Leeks and feta might just be the most magical combination in the whole wide world. What a wonderful blog you have Shaheen! Thank you for dropping by. Glad to have found your space! Chef Al dente On going event Gimme GREEN!